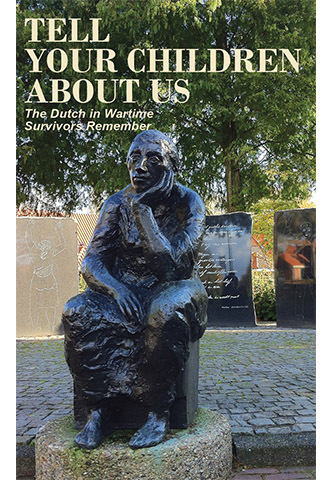 The Dutch in Wartime: Survivors Remember is a series of books with wartime memories of Dutch immigrants to North America, who survived the Nazi occupation of The Netherlands. Book 5: Tell your children about us, covers the years of 1943 and 1944, when the struggle to simply survive had become raw and harsh. Food, fuel and clothing were in very short supply and Nazi oppression endangered every citizen’s life, every day. Designed and written to be easily accessible to readers of all ages and backgrounds, these books contain important stories about the devastating effects of war and occupation on a civilian population. Edited by Anne van Arragon Hutten.